Mustek and Huawei’s at the MTN ITWeb 2019 Calendar Art Exhibition. What an inspiring evening of celebrating local artists in our country and their talents. Artwork created under the theme of recycle and reuse! 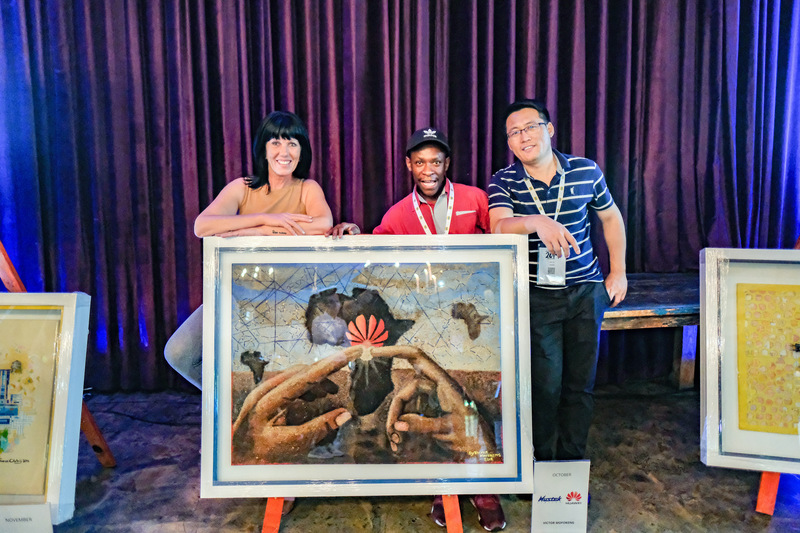 Local artist Victor Mofokeng’s winning work (sponsored by Huawei and Mustek for the month of October is foregrounded by a pair of hands, meeting over a silhouette of the African continent.